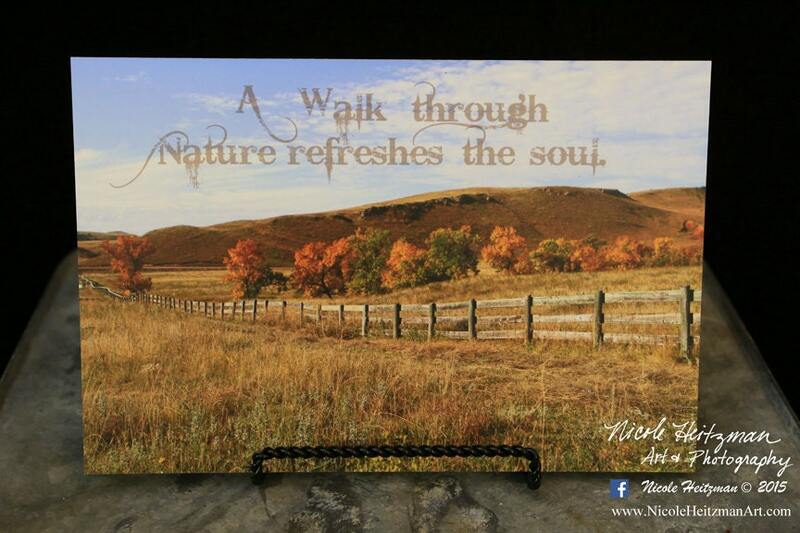 The photographer of this Fall fence line Black Hills-Custer State Park image is Nicole Heitzman. The image is 12" wide by 8" high and is mounted to masonite. 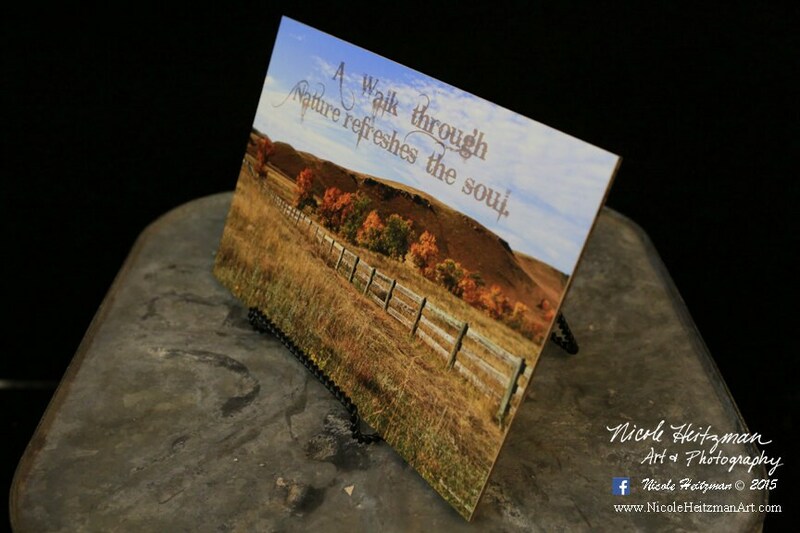 The quote on the image says "A Walk Through Nature Refreshes the Soul." This item is typically in stock and ready to ship. Please ask for availability if it is a rush item. Color on your screen may vary from the actual print.